Last week's Raw was overshadowed by a live Tuesday edition of Smackdown featuring a champion versus champion main event of C.M. Punk versus Daniel Bryan. Last week’s Monday Night Raw from Minneapolis left a lot to be desired in both content and execution. The highlight of the night was Chris Jericho winning a 10-man number one contenders battle royal for a chance to challenge C.M. Punk for the WWE Championship at WrestleMania 28. Where Raw was lacking, a special live Tuesday night edition of Smackdown more than compensated and we’ll discuss both shows as we head into tonight’s Raw featuring another return for The Rock in Portland, Oregon. 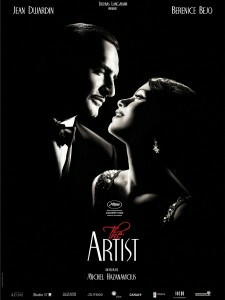 The 84th Academy Awards ceremony airs on ABC tonight. Once again hosted by Billy Crystal, it’s sure to be a drama-free celebration of movies virtually no one saw. 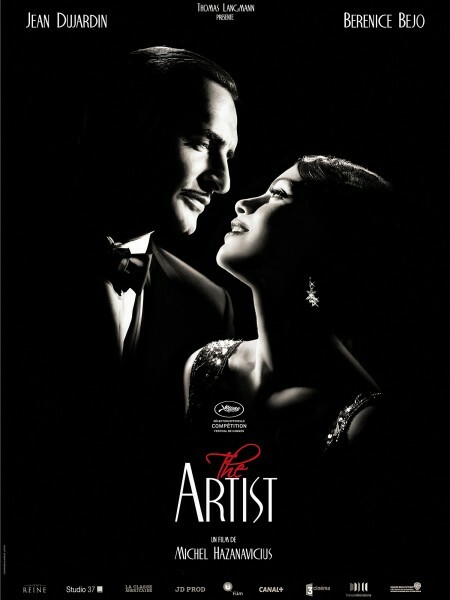 And when The Artist is declared the best movie of the year, millions of Americans who wake up and read about in the morning will just shrug. The nominees for Best Picture this year include The Artist, Midnight in Paris, Extremely Loud and Incredibly Close, Warhorse, Tree of Life, The Help, Moneyball, and Hugo. While it seems inevitable that The Artist is going to win, after the break we’ll discuss whether it actually deserves the honor. 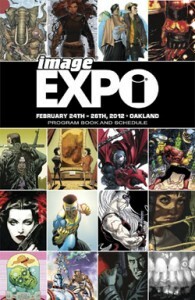 As part of the 20th Anniversary celebration of Image Comics, the publisher will be hosting the Image Comics Expo this weekend in Oakland, California. The show features a who’s who of creators participating in discussion panels and autograph signings, but fans will also have the chance to pick up a handful of issues from some of Image’s most popular series with convention-exclusive covers. Featuring work by current top flight artist and long-time favorites, this is a set of variants no Image fan should miss. Chris Jericho should have a lot to say on Raw after leaving last night's Elimination Chamber match without being officially eliminated after a kick to the head by C.M. Punk. Coming off last night’s Elimination Chamber par-per-view in Milwaukee, Wisconsin, tonight’s Raw from Minneapolis, Minnesota has a lot to make up for. Much of last night was taken up by Santino Marella parodying Rocky, John Laurinaitis blowing smoke, videos promoting John Cena versus The Rock at WrestleMania XXVIII, and backstage bits with Hornswaggle. The in ring content was rather limited to the two Chamber matches, a Divas title match, an unscheduled US Championship match and Kane versus Cena as the main event. With the biggest show of the year less than six weeks away it’s a shame that the bad outweighed the good at Elimination Chamber, particularly as the signature matches of the show were well put together. The most important thing to know about the new film version of 21 Jump Street is that it takes the concept of the old television series and plays it as a comedy. If you’re expecting a faithful adaptation of the show, you’re sure to be disappointed. In terms of tone it’s fairly similar to Seth Rogen’s Pineapple Express, however, 21 Jump Street is more consistently funny. 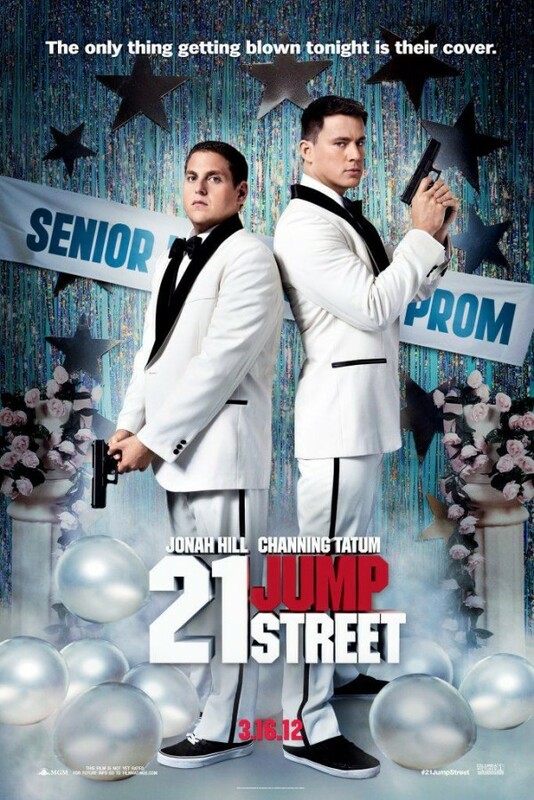 Jump Street stars Jonah Hill and Channing Tatum as alumni of the same high school who go from having an antagonistic relationship in school to forging a strong bond while in the police academy. Hill is smart and out of shape, while Tatum is dumb as a rock and built like a superhero. They quickly discover that with their individualized skills they can help each other survive the academy, but even as a team they don’t amount to very good police officers. Their auspicious careers start as bike cops protecting a virtually crime-less park. However, a botched arrest soon results in the duo being demoted and assigned to an undercover unit that places young-looking police officers in high schools. The not-so-young-looking duo’s cover includes being brothers and living with Hill’s parents. Hilarity ensues.